What is a Tourmaline Flat Iron, Anyway? You know you're supposed to pay extra for them, but what is a tourmaline flat iron? We’ve all heard we should be using them. In order to protect our hair from heat damage from our beloved flat irons, all the pros recommend tourmaline styling tools. But…what is a tourmaline flat iron and why is it doing such wonderful things to my hair? At the risk of sounding like a geology textbook, let’s discuss what tourmaline is. 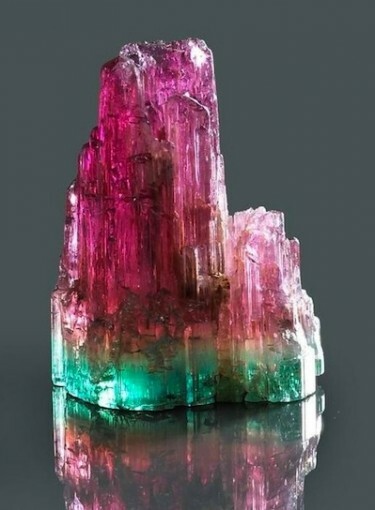 Tourmaline occurs in rocks like granite as a mineral. It consists of a boron aluminosilicate and has pyroelectric and polarizing properties, and is used both in electrical and optical instruments and as a gemstone. So, in other words, you’re basically rubbing your hair between a (pretty cool-looking) gem stone in order to straighten it. Fancy. It goes deeper than that, however, as tourmaline emits negative ions that counteract the positive ions present in damaged hair. The result? Less frizz, dryness, and general unhappiness caused by unhealthy hair. So, basically, if you’re wondering, "What is a tourmaline flat iron?" we’ve got the answer. It’s a miracle rock. Put your miracle rock to use with these tips on how to straighten your hair like a pro.